There’s no denying the popularity of astronomy programs at Lake James State Park. Throughout the year, Superintendent Nora Coffey hosts evenings in the upper parking lot at the Paddy’s Creek Area for participants to gaze at the moon, planets, stars and other heavenly bodies. Oftentimes the crowd of star-gazers swells to more than 50. Coffey is grateful for the expert helpfrom members of several area astronomy clubs. Along with their priceless knowledge, these volunteer educators bring with them sophisticated commercial and homemade telescopes to share the wonders of the night sky with people. Spurred by the huge public interest in last summer’s total solar eclipse, Cleveland County Astronomy Club member, Steve Davis, has donated a state of the art Coronado solar viewing telescope, as well as a previously-owned refracting telescope with an equatorial mount. 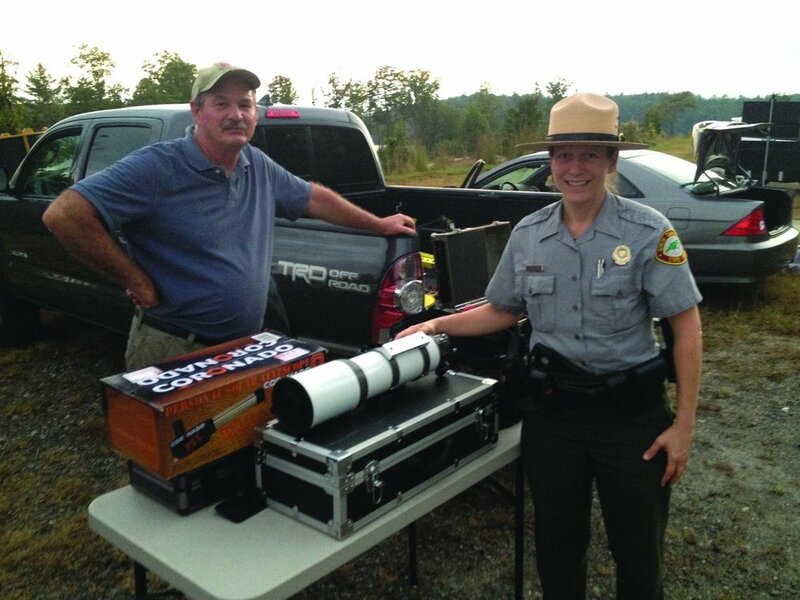 Davis, who has been assisting Coffey with her astronomy nights since 2009, donated the equipment in memory of his late friend and astrophotgrapher Frank Barrett. Most recently, Davis manned a gem and mineral display at the 14th annual Catawba RiverFest last September.